This blog discusses some more popular corporate wellness ideas and wellness activities that can make your program better—if you are strategic about how you do them. Each must be communicated effectively, tracked, and incentivised. Wellness ideas by themselves are just perks. Wellness ideas that are properly implemented change lives by improving health and reducing health care costs. Less than 40% of the employees who get the wearable device even want one. 20% of employees already have one. Thanks to your program they now have two. Of those who get a new device and started using it, about half will stop using it within six months. A small portion of employees will use their devices to track their activity. The idea to purchase and handout wearable devices to your employees is well intended, but ultimately, not very effective. By making a few changes, this idea can actually provide meaningful results for employees. Rather than purchase the devices for everyone, offer the devices at a discount to your employees. The devices will have more value if the employees have some skin in the game. Better yet, invite employees to bring their own devices. You will have wasted no money on those employees who don’t want one. Employees with devices can be placed into teams and they can compete with each other in a variety of challenges and fitness activities. You can provide points towards incentives for those continue to demonstrate regular physical activity. Even better, all your employees could sync their devices with the WellSteps wellness platform and automatically update their activity and automatically get points for being active. Now, instead of providing a perk for your employees, you have provided an effective physical activity intervention that employees will enjoy and they’ll be well on their way to a long and healthy life. When employees are on their lunch breaks, they often just sit in the cafeteria eating their food and socializing with their coworkers. Don’t let this time for your employees go to waste. Use it to educate your employees on how to make healthier food choices and the benefits of living a healthy lifestyle. Some lunch time presentations can use a conference room and live speakers. Ask your employees what topics they’d like to learn more about. In the cafeteria or break room, you can have lunch and learn presentations for the employees while they’re eating their lunch or resting on their break. 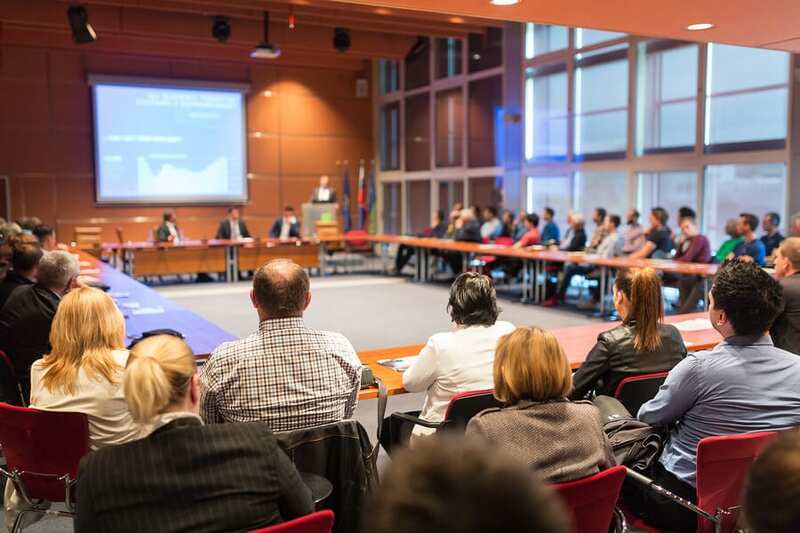 These presentations can be made via video on a television or monitor that you have in these rooms. Just hook the television up to a computer that has a timer. Then, whenever lunchtime or break time starts for the employees, have the video start playing at that exact same time. Anyone who is curious and wants to learn about being healthier can pay attention to the presentation. Otherwise, they can resume eating at their table and talking among themselves. Employees often don’t realize how valuable the human resources department in their organization can be for them. HR isn’t just a place where you make complaints or modify your employee record. It can be a place where you make suggestions and share ideas that can help improve the company or the quality of life for its employees. Therefore, you should try to work with HR and get them to offer a financial fitness campaign for all the company’s employees. This is a special type of campaign which helps employees identify their financial goals and gives them access to tools and resources that help them manage their money more responsibly. After all, the financial health of an employee is just as important as their physical and mental health. An employee with a grip on their finances will be a happier employee, which means they’ll be a better worker for the company. Have HR interview each employee in order to make them aware of this financial fitness service. If an employee is interested, then they can pursue it further. 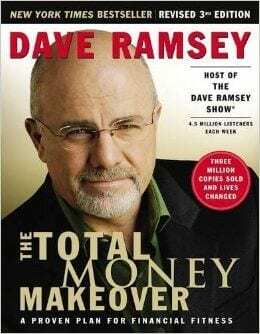 One of the best financial fitness books out there is The Total Money Makeover by Dave Ramsey. Corporate campaigns are a great way to notify employees about a topic that is important for them to know about. Some examples of these campaigns include health campaigns, financial fitness campaigns, and safety campaigns. However, your company will have a custom wellness campaign on any one of these important topics as it pertains to your work environment. For example, if you own a construction company and you want to develop a custom campaign on safety, the campaign can teach or remind people how to be safe while working on a building. After all, workplace accidents and injuries are fairly common in many job industries. Save your company from having to pay short term or long term disability payments to your employee by having a custom safety campaign that educates them in how to avoid these accidents. A lot of employees may have health insurance that is provided through the full-time job they have with your company. Unfortunately, many employees don’t realize that most insurance companies now offer a 24-hour nurse hotline which they can call whenever they’re having a health problem. Insurance companies offer this hotline as a way to help their clients make the right choice for getting treatment. Often times, people will panic and go to the emergency room anytime they don’t feel well. This costs insurance companies a lot of money, so they want to avoid this from happening as much as possible. They do this by having these 24-hour nurse hotlines available to help calm the person down and give them suggestions on how they can get the best help for their problem. Make sure all your employees are aware of the nurse hotline number that corresponds with the insurance company that your organization uses. That way, they can get help quickly for their health issue without having to miss much work. Employees are typically busy people who don’t have the time to think about their health status. But it is important that you get them to think about their health before it becomes neglected for too long. The best way to do this is by designing and issuing customized assessments or surveys to all the employees within your organization. These can be generalized surveys that don’t even require the employee to give their name. Use surveys to ask employees their opinions on how to improve your worksite wellness program. Ask for their honest feedback or use surveys to measure and track employee morale and job satisfaction. When they submit the survey, you will be able to get an overall sense of how happy and healthy your employees truly are. Then, you will know which areas to improve in the workplace so you can make more of your employees happy. 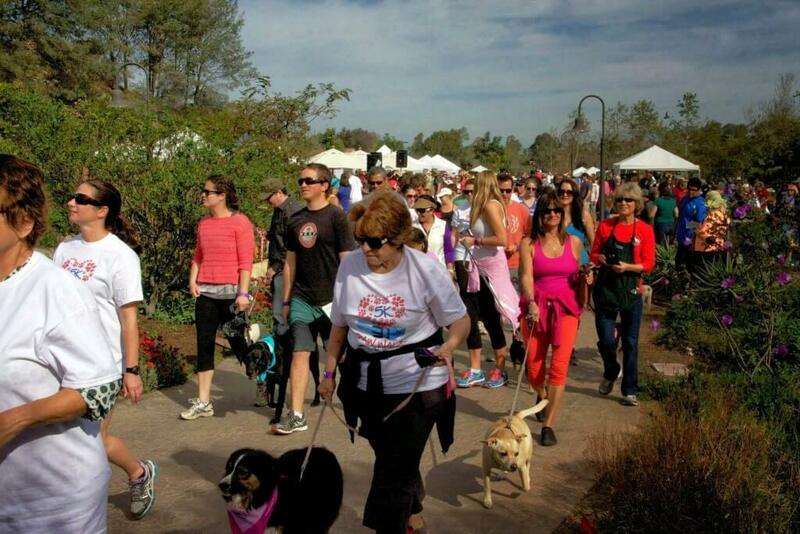 Health events happen in virtually every town and city in the United States. The problem is many people within their communities don’t realize these events are taking place because they are not well advertised. Make sure all your employees know about these local health events. They could be events or healthy workplace initiatives for nutrition, fitness, marathon running, 5K competitions, and so on. Anything that helps get your employees active in their nutrition and health is something you should market to them. Try putting up posters on the walls in the break room and advertisements on a bulletin board which lets employees know about these events, and when and where they’re going to be held. If your corporation is a sponsor of the event, then that is even better because it makes the employees feel like they’re part of the group that’s going there. The more you advertise these events, the more it will get your employees involved in community events. Newsletters are one of the most effective ways in providing wellness content to your employees. Don’t just include a few wellness articles in the newsletter, though. Create a permanent section in the newsletter that is solely devoted to wellness content. This could be content about anything health related such as nutrition, running, walking, healthy recipes, and so on. The great thing about written wellness content like this is that employees are more likely to look at it. Here is a great wellness newsletter and it’s free. If they’re on their break and want to kill some time, they can read the newsletter and get the wellness information that it contains. Just keep copies of the newsletter in the break room as well as the work area so it is readily available for them to pick up and read. If something in the newsletter appeals to them, they can just take the newsletter home and follow the wellness advice from there. Some people tend to believe that something only works if they see or hear about other people’s success at doing it. If they happen to know the person who was successful, that is even better. Employee success stories should be shared throughout the organization because it will help motivate other employees to work hard toward achieving the same kind of success that their coworker did. These success stories could relate to weight loss, corporate promotions, weightlifting, sporting event wins, or anything else that promotes something successful that an employee did which pertains to their health and wellbeing. Collect as many of these success stories as you can from your employees who can actually prove their success. If they went through a physical transformation, get them to submit a before and after photograph, so the results can be seen clearly. Then publish these success stories in the company newsletter, website or as an advertisement on the bulletin board in the break room. A bit part of every effective employee wellness program is motivation. Here’s the best way to motivate employees. Do this for every employee each time they win a competition. As more pictures get added to the Wall of Fame, more employees will be encouraged to try harder so they can get their name and picture on the Wall of Fame too. In order to be fair about this, give informational materials about the challenges to all the employees in the company. These materials can be separate from the usual memo or newsletter. All employees want to represent their company in some way that makes them proud. A lot of companies create recreational sporting teams in which their employees have the option to participate in. 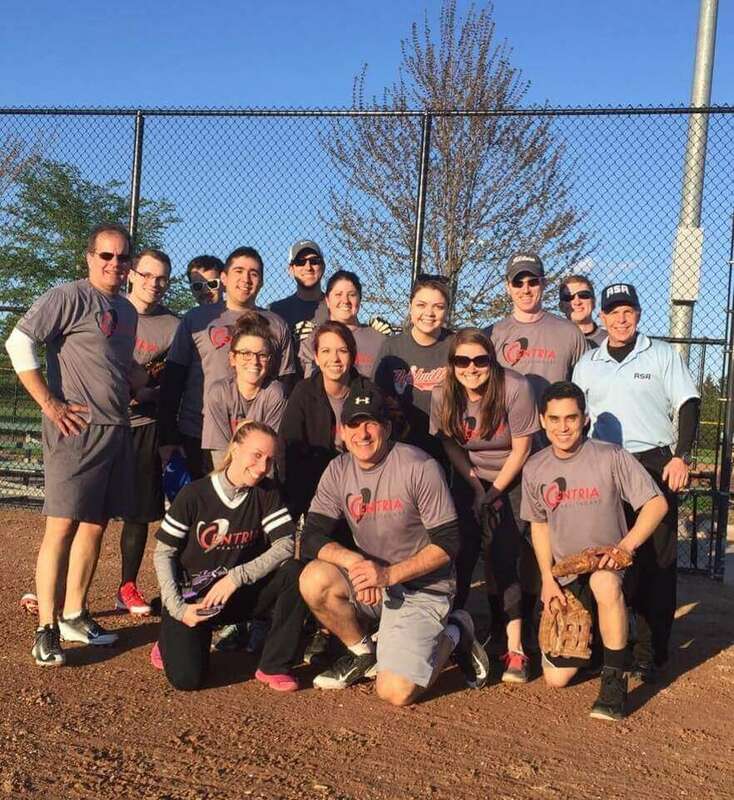 These corporate recreational teams may end up playing the teams of other companies within your area. Although these may not be professional sporting events, companies like to do this to advertise themselves and to simply add a little fun into the lives of their employees. The sports you choose for your employees to play are up to you. However, if you plan on playing the teams of other companies then you need to choose a sport that is commonly played by everyone. The most popular corporate sport is baseball so you might want to consider forming an employee baseball team. You can start off by dividing your employees into separate teams and then have them play against each other until there is one winning team. Then, have that winning team play another company’s team and just go on from there. Overall, it will give your employees physical exercise while they get support from others. Nobody ever thinks they’re going to get cancer until they do. The best way to fight cancer is to treat it as early as possible. That is why all employees within an organization need to be encouraged to get a cancer screening done on themselves. People who have cancer don’t typically notice any symptoms at first. A cancer screening will be able to detect whether or not you have cancer before the symptoms even start. This includes colon cancer, lung cancer, cervical cancer, and breast cancer. By promoting cancer screenings within your organization, employees can learn the truth about their internal health and put any worries to rest that they may have about having cancer. But if they do end up having cancer, then they can get the proper treatment early on before the cancer spreads throughout their body and becomes inoperable. If your company has an Employee Assistance Program, then make sure your employees know about it. Often times, employees have a lot of stress in their lives and it doesn’t necessarily have to relate directly to their job either. They could be stressed from having family problems, psychological disorders, grief, substance abuse problems, alcohol problems or any other problem that affects their mental state. When employees are affected in this way, it affects the performance of their work at the company. That is why it is crucial that you market the EAP services of your company so that employees who are having psychological issues can get the help they need right away. At the same time, you will be increasing the productivity of your company because those employees will be getting the help they need to become happier and better workers. A company that truly cares about the physical wellbeing of their employees is one that makes onsite fitness classes available to them. Studies have shown that employees are far less stressed on the job after they’ve had the opportunity to exercise. However, the problem is that not everyone is experienced at exercise and fitness so they never attempt it. By having fitness classes available at the workplace, employees can quickly get experienced at how to exercise properly. This will build their level of knowledge and confidence towards fitness so they can get healthier and in better shape. The best part is they won’t have to travel very far to get to the classes because they’ll be available right in their work building. Employees can go to them either before or after work. Just make sure you have multiple onsite fitness classes available to accommodate the employees who work all different shifts. How efficient are your employees in their work environment? Every company has employees who are either underproductive or over productive in their positions. Since you are investing money by hiring your employees, you want to make sure that you get the most out of your investment. The best way to do this is by assessing the productivity of your employees in their given positions. Are they meeting their quota for the amount of work produced? If not, is there another position within the organization where you can move that employee so they can be more productive? Assessing these ergonomics of your employees is not only good for the company, but it improves the engagement of the employee as well. Employees that aren’t performing well might just be bored or unsure of the work they’re doing. Putting them in a better position that they’re comfortable with will make them better workers and increase company productivity at the same time. 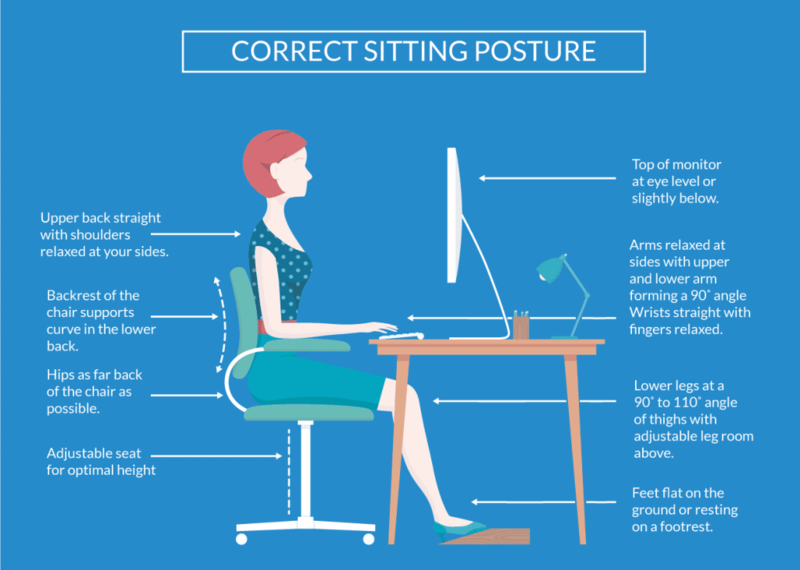 These decisions can all be made based on the data from the ergonomic assessment. Health coaching is something that more companies are starting to use to help manage the physical and mental wellbeing of their employees. Some people just have a hard time reading about health and wellness or watching videos on it. The only true way they’re going to learn is by having a real health coach in front of them. The job of a health coach is to guide people on how to make healthier choices in life. These could be choices that pertain to food, exercise, finances, friendships and so on. However, these aren’t just going to be temporary choices. Integrative health coaching is what your employees will need in order to make long lasting changes to their health behavior. In other words, health coaches will teach your employees how to make lifestyle changes that they’ll maintain long after they’ve left the company. Chair massages might seem like a luxurious item that you may purchase for your home when you want to relax. However, the truth is that chair massages can do wonders for the muscles and joints inside a person’s body. If you were to have onsite chair massages available at your work facility for your employees to use, then their bodies would be in less physical pain throughout the day. It doesn’t matter if someone sits down at a desk for 8 hours a day or works in construction for 8 hours a day. Both types of employees are still working and the human body takes a lot of punishment from that work, whether they’re sitting or moving. A chair massage will provide employees with the relief they need to continue working and not go home early. Overall, chair massages will improve the long-term physical health of the employees as well. You can set up these chair massages in the break room or create a designated massage area in an empty room within your building. Two of the most common illnesses that people come down with are pneumonia and the flu. With older adults, these health conditions can become deadly if they are not treated early on. Companies need to provide information to their employees about how they can get vaccination shots for pneumonia and the flu. You can include this information in a company brochure, memo, newsletter or pamphlet that you know all the employees are going to see. This is important because many people aren’t even aware of how susceptible they are towards getting pneumonia or the flu. Encouraging your employees to get these shots will help prevent them from coming down with these health conditions. That way, they won’t call out sick from work because they got one of them. You could even arrange to have nurses come to your work facility and give shots to employees who are interested in getting them. Employees often neglect to get physicals done on themselves by a qualified doctor. The only time employees typically get physicals is when they’re first hired into the company. After that, they may stay with the company for years and never get another physical. Meanwhile, their health could be deteriorating by the day and they may not know it. That is why a health screening program needs to be available for employees which can test them for a variety of health problems and ailments. This health screening process should test an employee’s blood pressure, BMI, glucose levels, cholesterol levels, bone density, Hemoglobin A1C, hearing, cotinine, lung spirometry for asthma or COPD, and mammography. You could make these tests mandatory for employees to get on a yearly basis, or just have them readily available for any employee who wants to get these tests done. 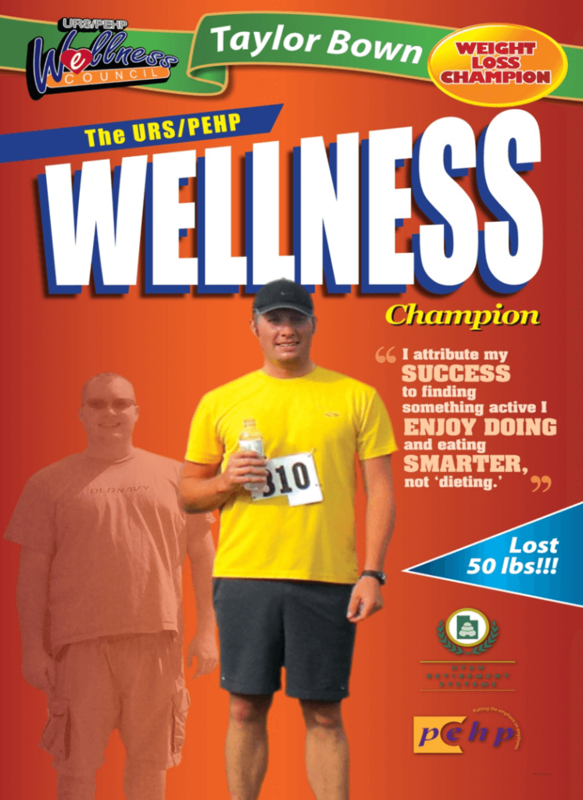 Corporate Wellness Ideas: So What? If your worksite wants to improve employee health and reduce health care costs, you are going to need a wellness solution that turns corporate wellness ideas into effective wellness strategies. Let us show you how this is done. Next PostHow Much Does An Employee Wellness Program Cost? Excellent recommendations Dr. Aldana – thanks for the easy tools and reminders!